1. Tax bracket management. Most people who hesitate to make a conversion are stopped by the tax consequences—that you will owe income tax on whatever part of the converted amount that hasn't already been taxed. But you could minimize the pain of that by making gradual, year-by-year conversions in which you transfer only as much as will take you to the upper limits of your current tax bracket. That lets you avoid having much of the conversion taxed at a higher rate, and you can repeat this strategy in subsequent years until you've converted most or all of the funds in your traditional IRA. 2. Tax-free payouts. Once you've paid the conversion tax, it can be free sailing as far as taxes are concerned. Investment income and capital gains in the Roth aren't taxed now and won't be taxed at all if withdrawals are made from a Roth that's at least five years old and come out of the account after age 59½, because of death or disability, or to pay first-time homebuyer expenses (up to a lifetime limit of $10,000). 3. Minimizing net investment income tax. Some investors must pay a 3.8% surtax on whichever is lower—their net investment income (NII) or the amount by which their modified adjusted gross income (MAGI) exceeds $200,000 for single filers or $250,000 for joint filers. Although payments from traditional IRAs don't count as NII, they are part of your MAGI for this purpose. But the tax-free distributions from a Roth leave your MAGI untouched. 4. No required distributions. With a traditional IRA, you must begin taking required minimum distributions (RMDs) in the year after the year in which you turn age 70½—and then you have to keep taking RMDs every year for the rest of your life. The amount of the annual RMD is based on a life expectancy table and the balance in the account at the end of the prior year. However, that doesn't happen with a Roth IRA. You can leave your account intact if you don't need the cash, preserving a larger nest egg for your heirs—and one that they, too, will be able to tap without income tax consequences. 5. Flexibility during retirement. If you convert some or all of your traditional IRA funds into a Roth, you'll have more flexibility in managing your tax liability in the future. For instance, if you need money, you could decide to withdraw it from a traditional IRA or another taxable account or from a Roth or a combination that suits your needs. Typically, it's advisable to withdraw taxable amounts up to the top of your current tax bracket before drawing money out of the Roth. Yet if you don't want to owe any current taxes, you can withdraw funds from the Roth (as long as you've had the account for that initial five-year period). 6. Taking advantage of ordering rules for distributions. Even if you haven't had the Roth for five years and don't yet qualify for completely tax-free distributions, you still can take money out of a Roth without paying tax. Early withdrawals are taxed under special "ordering rules" that treat distributions as coming first from your contributions to the account, then from amounts you converted from a traditional IRA, and finally from taxable earnings. So most or all of your payout may be tax-free anyway. You'll have to pay tax only if you withdraw a portion representing investment earnings in the account. 7. Protection against tax increases. If federal income tax rates rise in the future, the tax protection provided by a Roth will become even more valuable, especially if you are able to convert to a Roth in a year in which you are in a relatively low tax bracket. 8. Estate tax considerations. Finally, income taxes aren't the only taxes that may be a consideration. 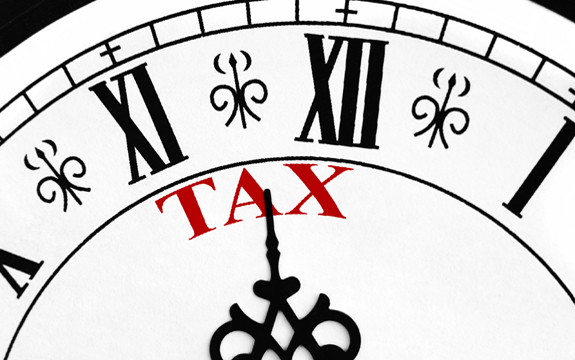 Like assets in a traditional IRA, funds in a Roth are included in your taxable estate, but may be protected by the generous federal estate tax exemption ($5.49 million in 2017). In addition, though your heirs will be required to take RMDs from the Roth during their lifetimes, those withdrawals should be income tax-free and thus more valuable than taxable withdrawals from an inherited traditional IRA. Of course, there are other factors that may apply to your situation. Make an informed decision.